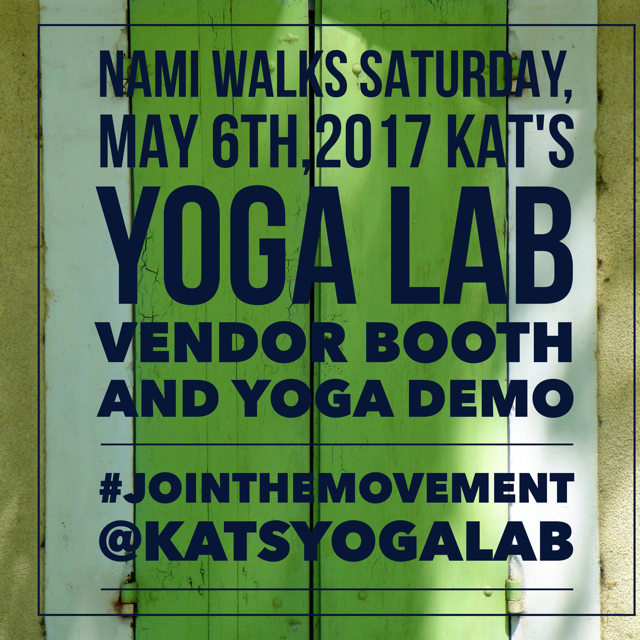 We will have a vendor booth and do a yoga demo for mental health. We will be there from 7:30-8:30 AM. For more info: https://www.namiwalks.org/index.cfm?fuseaction=donordrive.event&eventID=616. Hope to see you there.